All the more reason to keep them out. 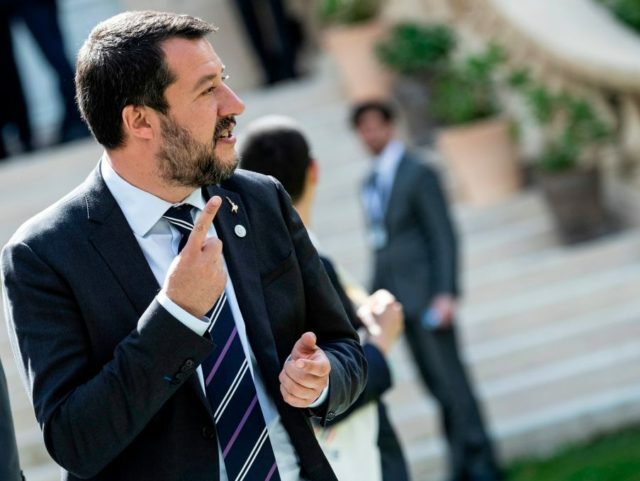 Turkey “will never be in Europe”, Matteo Salvini has vowed. Turkey is already in Europe – kick the Turks out of Cyprus and out of Constantinople. Force the Turk dogs back into Asia where they belong. Turkey is a nation which committed genocide and ethnic cleansing through its history and it started when the Turks founded their own Ottoman Empire. When the Turks began to conquer the Balkans in 14th Century it marked the beginning of the genocide and ethnic cleansing campaigns against Balkan Christians which experienced full blown persecution and Islamic colonization up until the 1st Balkan War in 1912 when the Balkan League after six long centuries kicked Turkey out of the Balkans .It marked the end of the Islamic colonial rule on the European continent. But Turkish monstrosities against non-muslim didn’t end, in WWI Turks committed genocide against Armenians, Greeks and Assyrians, in 1954 they expelled all Greeks from Istanbul ,in 1974 with the blessings of NATO and the EU, Turkey went to occupy the northern part of Cyprus besides Turks made only 20% of population and again committed ethnic cleansing of non-muslims. For all of its crimes through history, Turkey got a blank check from the West and it was treated with kid gloves. Remeber the siege of Malta. 500 Christian Knights kicked the ar$e$ of 40,000 Turkish barbarians. Note that the term, “the Balkans,” itself is a TURKISH WORD which means “the Mountains” – because that’s where the native European populaces had to run to in order to avoid being enslaved by the invading Turks.